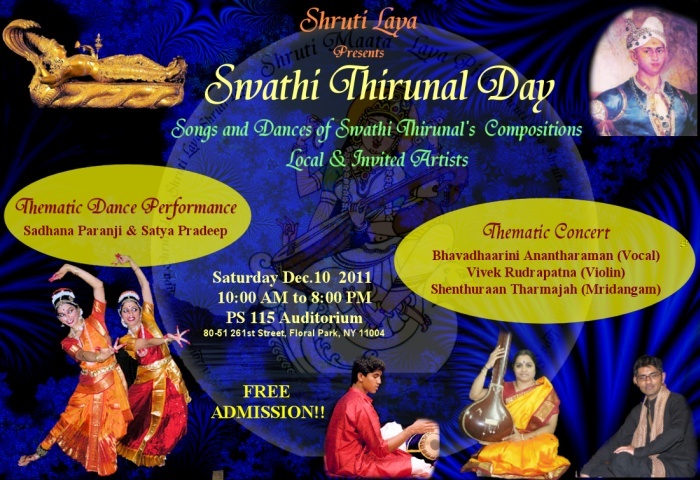 SruthiLaya organises another great event "Swathi Thirunal Day" on December 10th in NewYork where the children and young artists can sing all Swathi thirunal compositions. There is also a special thematic concert by Smt. Bhavadhaarini Anantharaman. She will be accompanied by our own Vivek Rudrapatna on the violin and Shenthuraan Tharmarajah on the mridangam. Who is Swathi Thirunaal ? 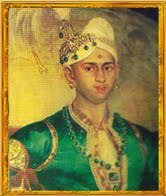 Sri Swathi Thirunal Rama Varma was the maharaja of the state of Travancore in India. Besides being a ruler, he was a patron of music and has composed over 400 songs in carnatic and Hindustani music.